Click Here To Reserve Your Golf Cart & Save! Get the lowest rates on Put-in-Bay hotels and resorts by booking directly on the Put-in-Bay Resort website! Comfortable accommodations await, so book today, and enjoy your stay. Spending more than a day in Put-in-Bay? Book Put-in-Bay hotels and resorts by clicking below! Convenient online booking ensures the best rooms at the best rates. Experience Put-in-Bay in comfort! Get information about upcoming Put-in-Bay events here. Starting in April and running through late October, Put-in-Bay plays host to a ton of fun events. Experience them for yourself! From spring and summer parties to outdoor events, wine tastings, garden tours and more, there’s always something to do in Put-in-Bay. Learn about all the upcoming events by clicking below! Put-in-Bay offers a wide variety of attractions and things to do—most of them free and easily accessible, with no advance reservation required. Explore all the amazing Put-in-Bay attractions here! Fine wine, antique cars, natural and local history, golf, sailing, a guided train tour, and more! Visit this fascinating community, and immerse yourself in Put-in-Bay’s many attractions. Find out where to rent the best, newest golf carts in Put-in-Bay! Golf carts are the most fun and cost-effective way to traverse the downtown core. Overnight golf cart rentals available. Rent a golf cart in Put-in-Bay, and get around like the locals do! Over 300 new, high-quality golf carts, configured for between 2 and 8 passengers, are available. Book yours today! The Put-in-Bay Visitors & Convention Bureau has tailored this website as a tourist information center to provide you with all of the necessary information for planning your trip to Put-in-Bay, Ohio, from hotels & resorts and home rentals to reserving your golf cart before you arrive. From our well-appointed hotels and resort accommodations, our spacious Rental Homes and our large comfortable Put-in-Bay Villas, you’re sure to find the lodging that will meet your family’s needs. We don’t have a lot of hotels and resorts, but we have some great ones! Our hotels, resorts, and home rentals book up quickly, and reservations are strongly recommended far in advance. Most properties offer online booking where you will almost always find your lowest rates by booking directly with the rental of your choice. Richly entrenched in history, Put-in-Bay offers young and old incredible experiences all found on one Lake Erie Island. No other vacation destination offers you the ability to explore a cave, tour a winery, soar 800 ft in the air with a parasail, fly across the water on a Jet Ski, land a trophy size walleye, and play a round of golf all within 10 minutes of travel on a Put-in-Bay golf cart rental! Our Perry’s International Peace Memorial and its visitors center offer tours that include a ride up an elevator to an observation deck with a stunning view along with a narrated tour and historical reenactments. On a clear day, you can see Detroit, Toledo and the Cleveland skyline from the observation deck high above the Put-in-Bay Harbor. Our 2.5 by 5 mile Put-in-Bay, Ohio island is the crown jewel amongst the Bass Islands and is a true island in that you will need to take the Put-in-Bay Ferry to reach us. Once on the island, you will enjoy a wide variety of dining options from casual to upscale, shopping, and of course adventure. Our Lake Erie Island walking trails and nature preserves are perfect for nature walks and sightseeing. Our state park is a great place for a cookout or a swim in Lake Erie. Relax along the pebble beach or enjoy a picnic lunch with food from one of our fine restaurants. Stop at the Put-in-Bay airport for a ride around the island in a vintage Waco open cockpit airplane or hover high in the sky with a helicopter tour. Lake Erie fishing for perch and walleye is some of the best in the United States and anglers flock to Put-in-Bay from all over the Midwest to catch daily limits of these highly prized delicious fish. In the winter months, the ice fisherman and their shanties can be seen for miles on the ice harvesting their catch. Boaters enjoy the modern and ample Put-in-Bay docks with daily and overnight rates. Fuel service and mooring balls are also available. Still not enough adventure? Our Put-in-Bay Ferry offers inter-island service to Kelly’s Island as well as service to Sandusky, Ohio home of Cedar Point. The Sonny S Ferry transports passengers to Middle Bass Island where another historic winery awaits your visit. So what are you waiting for? Browse our website and plan your Lake Erie Vacation and Visit Put-in-Bay, Ohio! 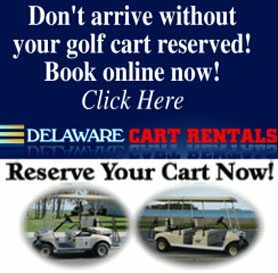 Book Your Golf Cart Rental Online & Save! Our Summer season offers you the most entertainment, history, and vacation appeal for your hard working dollar. Spend your vacation here at Put-in-Bay and get special values on accommodations, dining, shopping and attractions with our Jet Express partnership. Learn more. Celebrate the wedding you desire, beautiful by nature, with pristine views and island charm. Exchange vows barefoot in the park, on the Monument lawn set against blushing Lake Erie skies or in a luxurious decorated ballroom. Your wedding dreams come true at Put-in-Bay. Find tips and resources here.